Call today or request an appointment online for a comprehensive vision test. We also offer eyeglasses and contact lenses in our Optical Department. Read about glaucoma diagnosis and management. Talk to our ophthalmologists about Cataract Surgery. If you’re looking for optometrists in Chico CA, you’ve come to the right place. 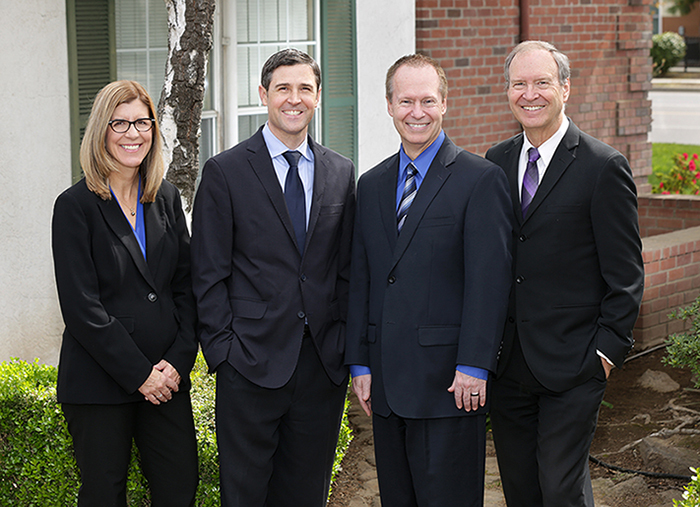 Here at Reeve-Woods Eye Center, our physicians and eye doctors in Chico—including Dr. Robert S. Carter, O.D. ; Dr. David J. Woods, M.D; Dr. Robert B. Reeve, M.D. ; Dr. Amy V. Spanfelner, O.D. — are trained to diagnose and treat many optical conditions. These include sports vision, macular degeneration, computer vision, glaucoma, dry eye, diabetic retinopathy, and cataracts. When you come to Reeves-Wood Eye Center, our optical clinic in Chico, you can expect a variety of services to be administered. With our optical clinic, premium lenses, and vision and eye exams, it’s no wonder we’re such a renowned choice for those in the Chico areas. One condition our eye doctors are especially adept at treating or managing is macular degeneration. This condition is typically triggered by old age (50+ years old), in which case it’s known as age-related macular degeneration. Patients can have either wet or dry age-related macular degeneration. With the wet version of this condition, retinal blood vessels will spray blood across the macula and other nearby areas. This leads to severe vision issues and possibly even permanent vision loss without treatment. With dry age-related macular degeneration, drusen, a type of protein, develops on the macula. Of the kinds of age-related macular degeneration, most patients will have the dry kind. Symptoms often manifest more gradually, but this can still become as severe as wet age-related macular degeneration. Once your optometrists in Chico diagnose you with wet or dry age-related macular degeneration, they can prescribe a treatment. Anti-VEGF medications may be able to lessen the symptoms and severity of wet age-related macular degeneration. These medications control your retinal blood vessels. If the medications fail, then your optometrist will likely suggest surgery. While dry age-related macular degeneration is incurable, minerals and vitamins can potentially lessen the severity of the condition. These include at lea skst two milligrams of copper, 80 milligrams of zinc, two milligrams of zeaxanthin, 10 milligrams of lutein, 400 IUs of vitamin E, and 500 milligrams of vitamin C.
If you want to get in touch with our eye doctors in Chico or set up your appointment today, we encourage you to contact as at 530-899-2244 or stop by Reeve-Woods Eye Center on 460 West East Avenue, Suite 110. In the wake of these devastating fires, everyone at Reeve-Woods Eye Center would like to invite you to our Chico office. This location will be providing full Ophthalmology care to Chico and Paradise communities.